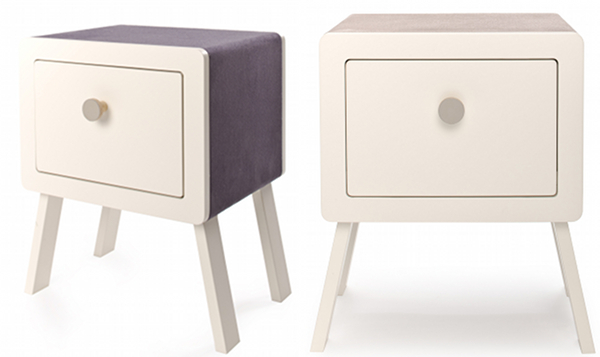 Olli Ella Si-Ta side table - magically doubles as seating! 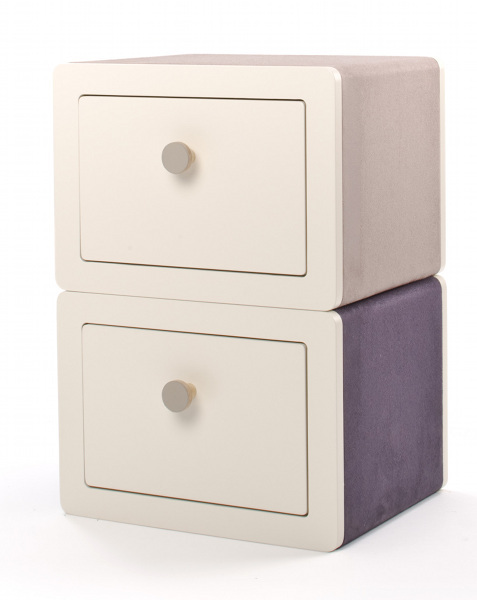 Olli Ella Si-Ta side table – magically doubles as seating! I am so glad I get to decorate one more nursery next year and this nifty little piece of furniture design magic will most certainly be included! 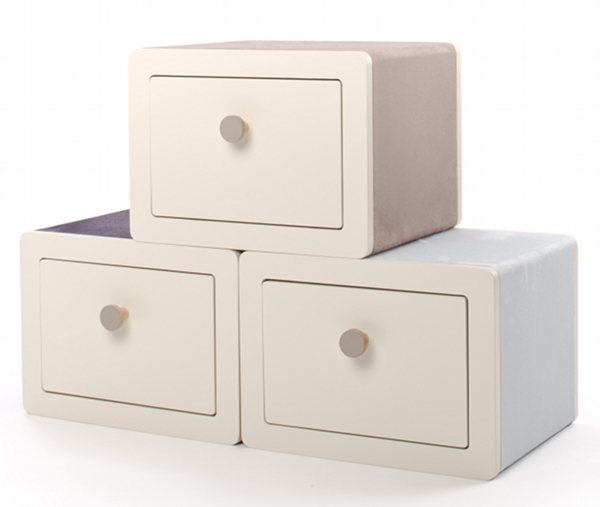 Olli Ella, maker of superb nursing gliders and organic bed linen, is expanding its product range and the lovely Si-Ta side table is the first of many new things coming up. There’s a lot more to the Si-Ta side table than meets the eye. Yes it’s a pretty side table with great proportions and those divine retro splayed legs. Those legs also fold away to transform the Si-Ta into stackable storage or seating. Tuck all those messy things away neatly in the drawer and sit back and admire the serenity of the room as you feed your baby. When a year or two has passed and baby has grown into an active toddler, use the Si-Ta for a reading spot; stack them or line them up alongside each other for a groovy bench. 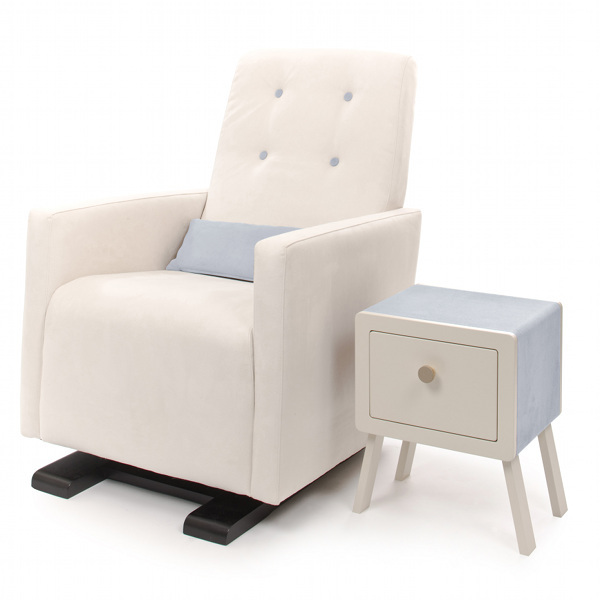 We love showing the latest must-haves and Olli Ella are living up to the design promise first shown in its beautiful nursing chairs. The Si-Ta table is available in three lush designer microsuede colours (on a snow-painted base) for $299 each- musk, sky and aniseed. They’re available to order now from Olli Ella, with a six week lead time. The only trick will be choosing which one. Looks like I might have to have them all!